The Golden State Warriors aren’t the only NBA team dealing with a locker room issue right now. Fresh off reports that the Washington Wizards have made every player on their roster available comes this piece of information from The Athletic’s Shams Charania suggesting that a volatile recent practice led to verbal altercations between Wizards players. 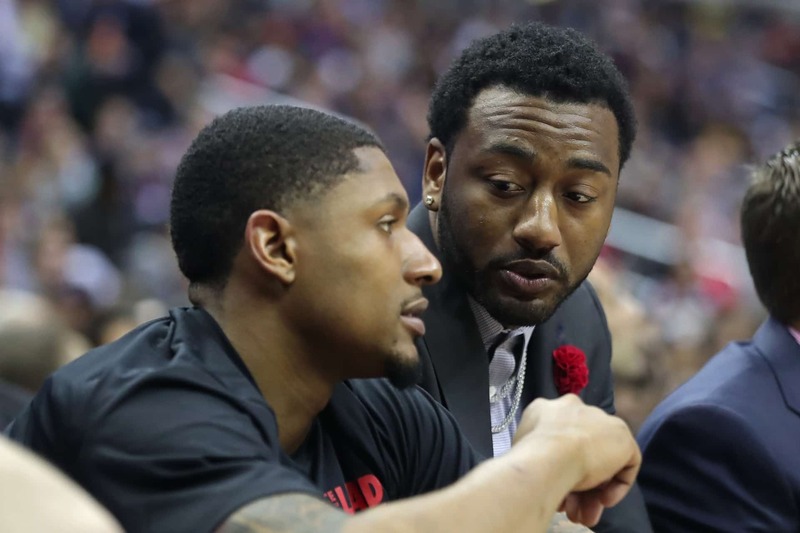 “I’ve been dealing with this for seven years,” star guard Bradley Beal said. These comments are the most interesting aspect to this story. Beal entered the NBA as the third overall pick of the Wizards back in 2012. The only player remaining on Washington’s roster from that season is none other than John Wall. You can go ahead and do the math from there. It certainly seems that things are boiling over in D.C. right now. Washington enters this week’s action with a horrible 5-11 record and yielding nearly 117 points per game. If the team’s two stars are at odds right now, that would explain the report suggesting that these Wizards might be on the verge of going through a fire sale.